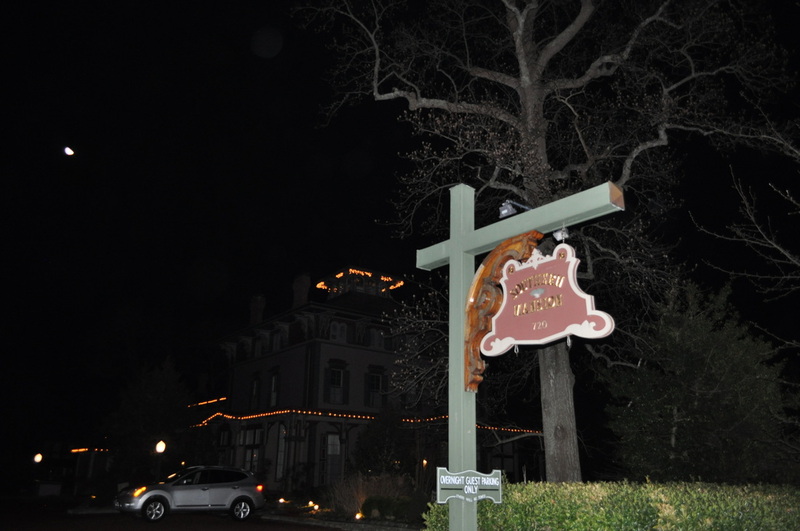 January 2016 - CAPRS conducted a six hour investigation of the Southern Mansion in Cape May, NJ. It will be our honor for you to join us on October 24, 2015 at 6:30 PM with the "Cape Atlantic Paranormal Research Society" who have spent 10 months investigating our store for Paranormal Activity. 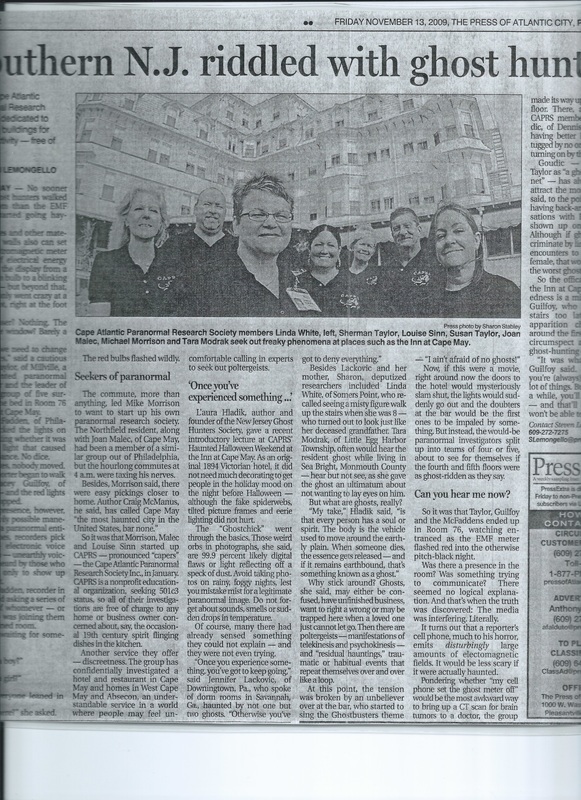 We are overwhelmed by their (C.A.P R.S.) 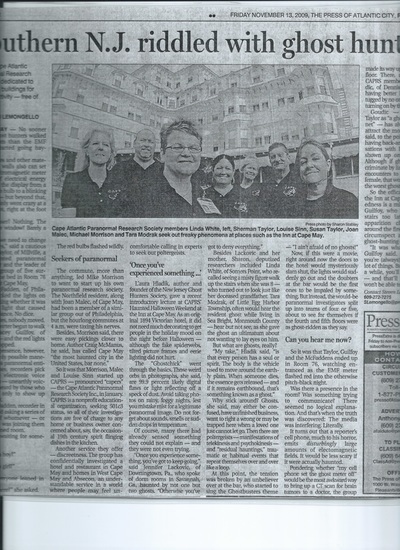 dedication to their work and the time they have spent with us, our store/building and countless hours of work at home. 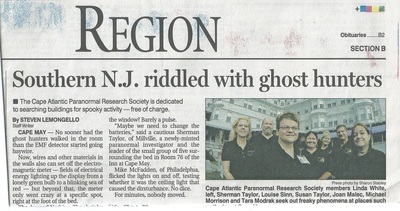 Please be our Guests to see and hear the findings of this investigation. 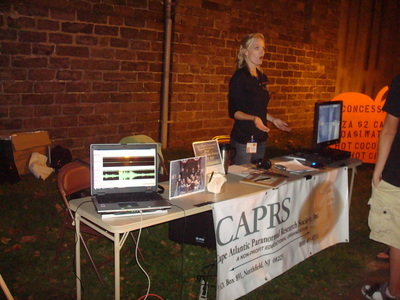 C.A.P.R.S. members will present their findings answer questions and allow you to see and hear all of the evidence. 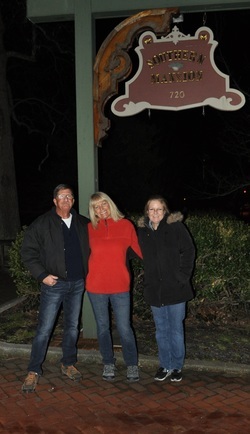 They are the Real Deal! 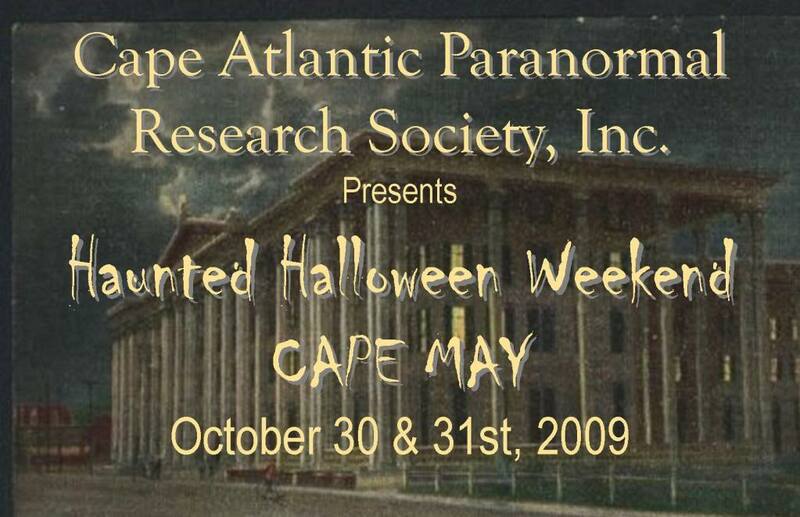 This is a once in a lifetime event and we hope you will join us. Lovely Joan will be taking appointments for readings and she does them all. 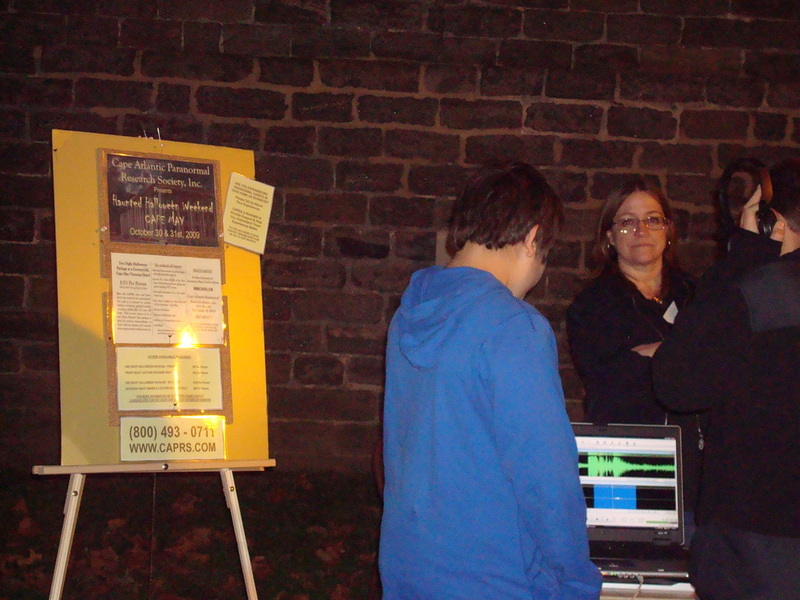 She wanted to have readings this night but is afraid there will be too much noise. 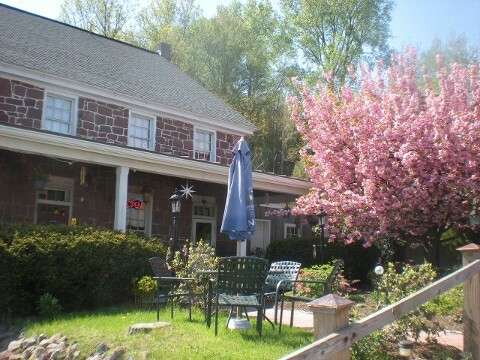 She will become a regular at our store. Make sure to make your appointment! July, 2015 - During a walk through of the Southern Mansion, in anticipation of an upcoming investigation there, we met Bruce Tango (Ghosthunters on SyFy) sitting in the parlor with a recorder and headphones. 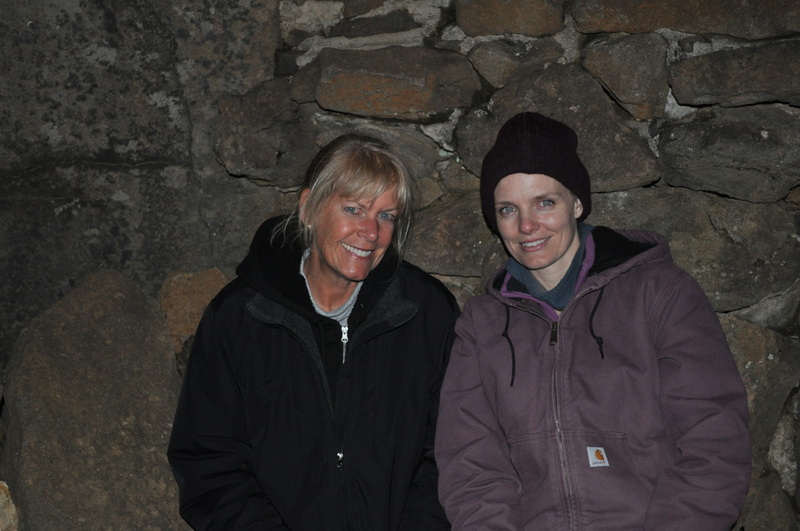 Naturally we had to sit and chat about ghosts!! 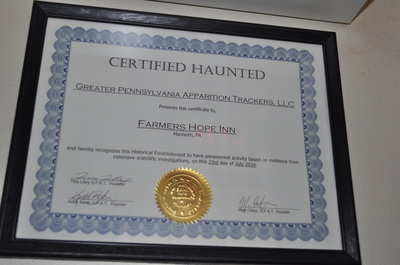 July 2015 - After the Southern Mansion, we proceeded to Willow Creek Winery, again for a walk through to prepare for an investigation, and who should we meet but Bruce and Dave Tango (both SYFY Ghosthunters). 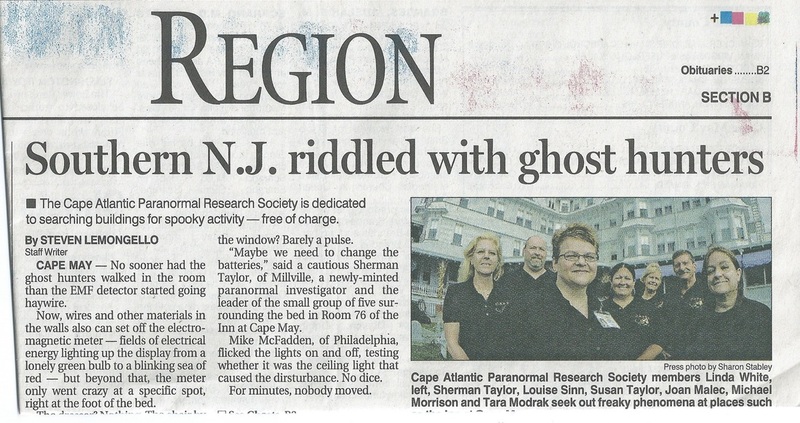 Great guys!!! 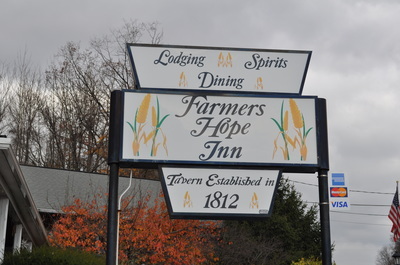 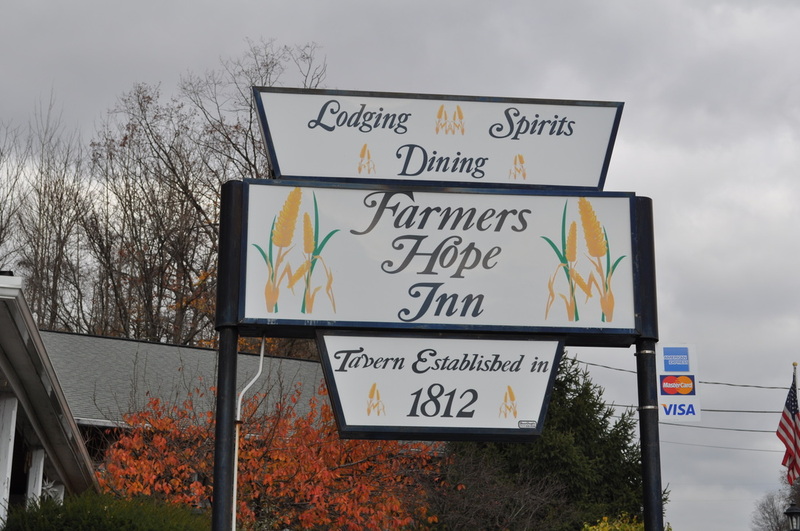 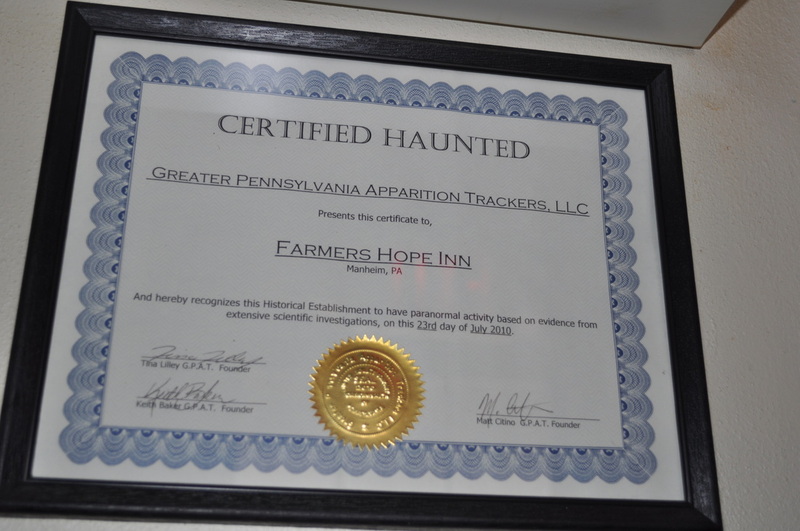 November 2014 - After an evening at Edgar Allen Poe readings, a stop at the haunted Farmers Hope Inn!! 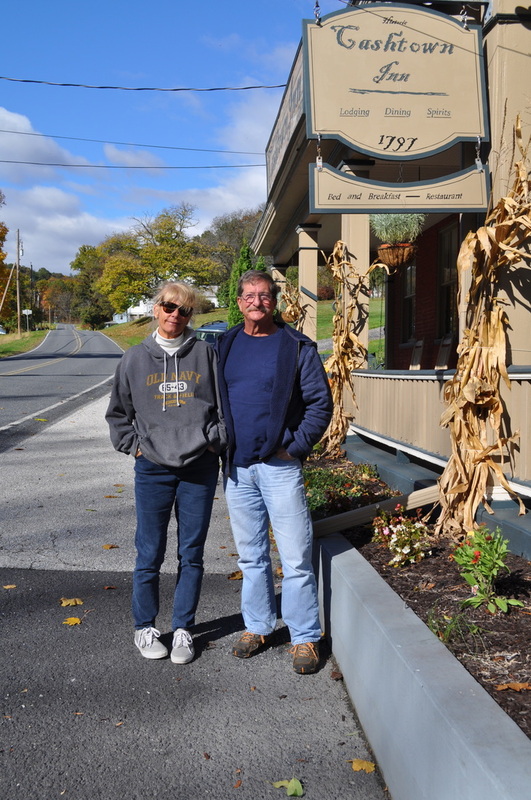 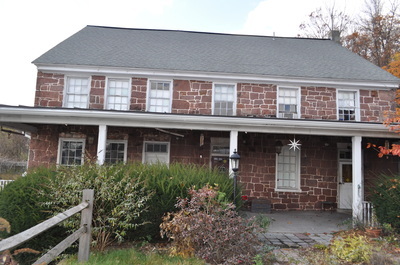 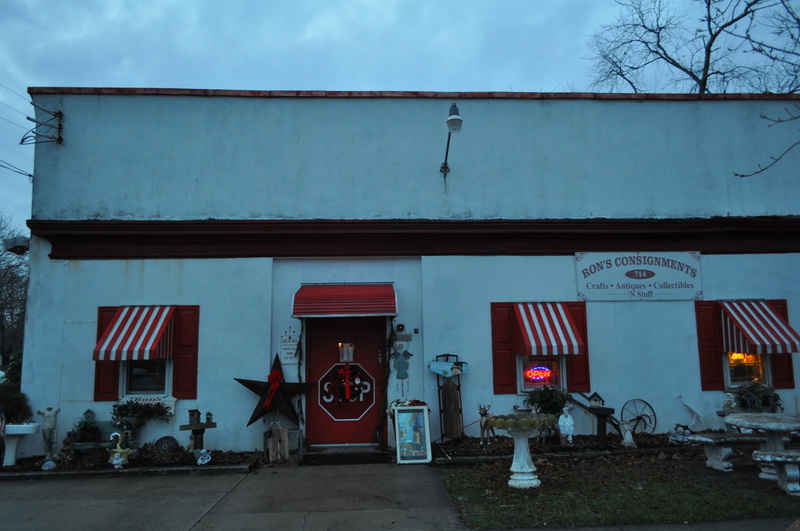 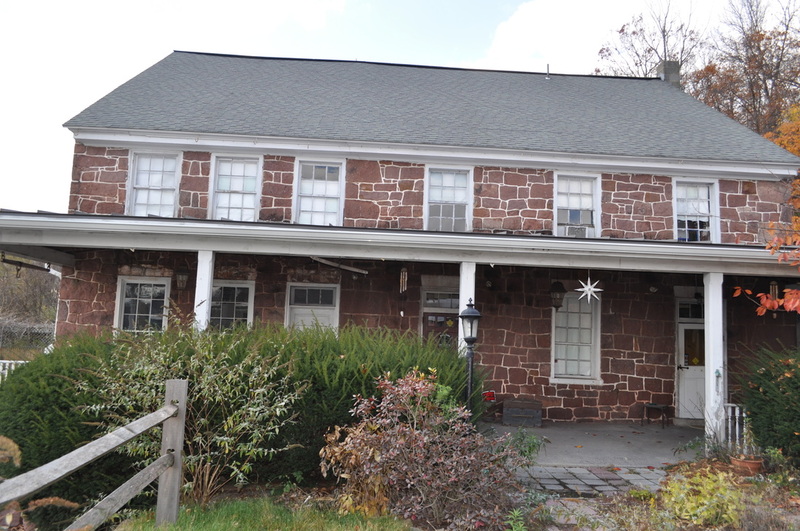 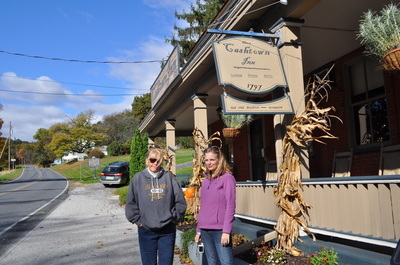 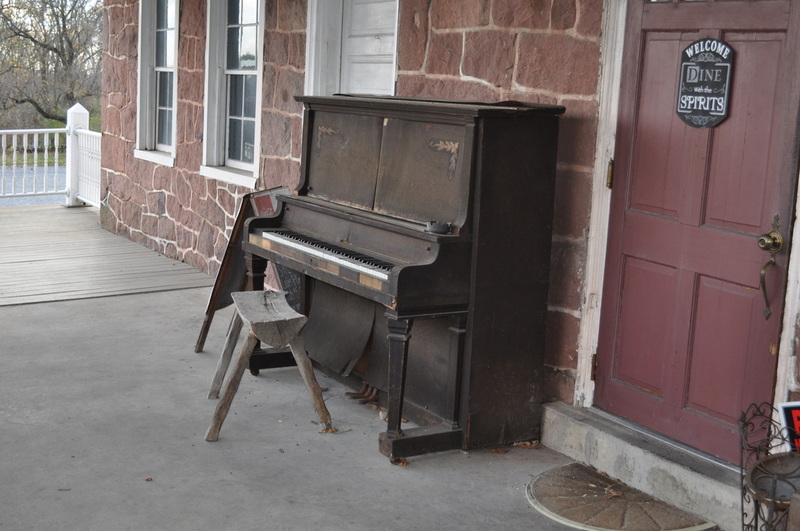 October, 2014 - If you are headed to Gettysburg to go ghost hunting, you have to stop at the Cashtown Inn! 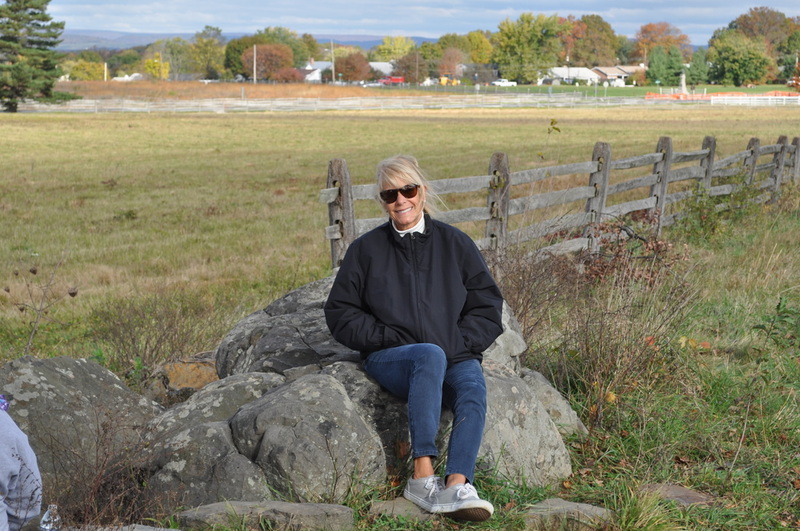 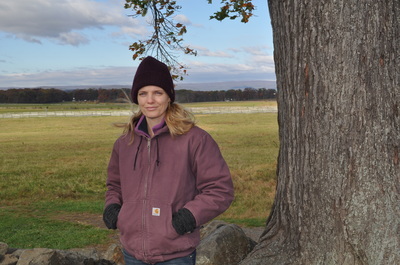 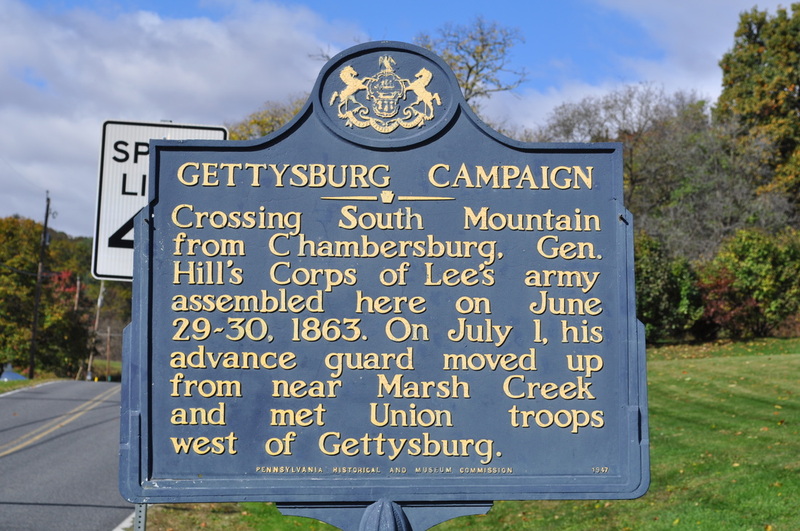 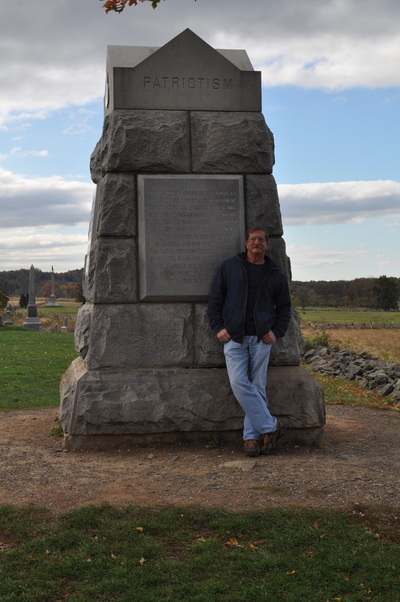 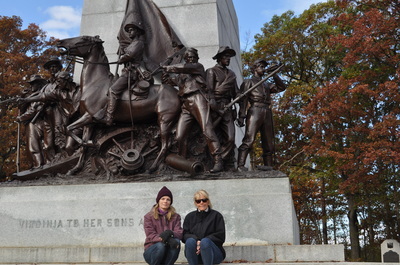 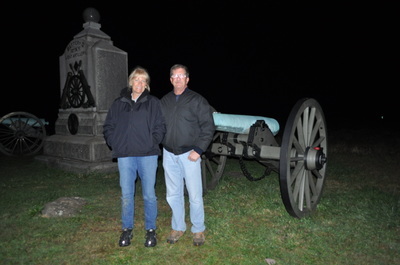 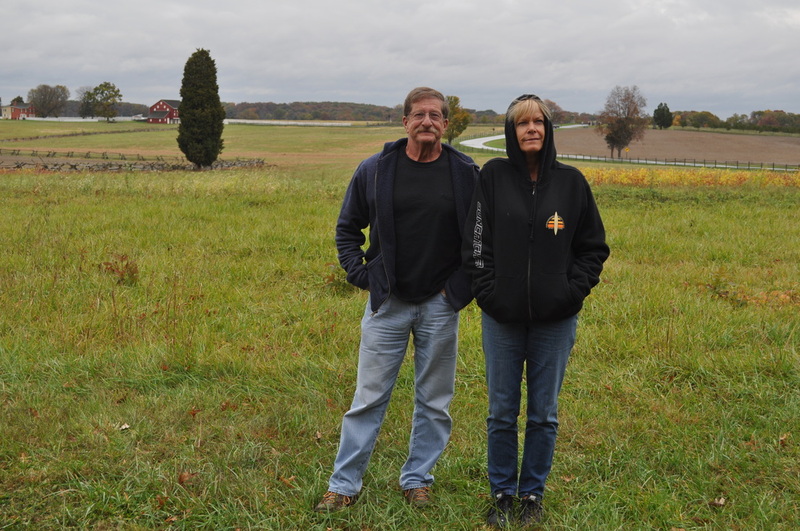 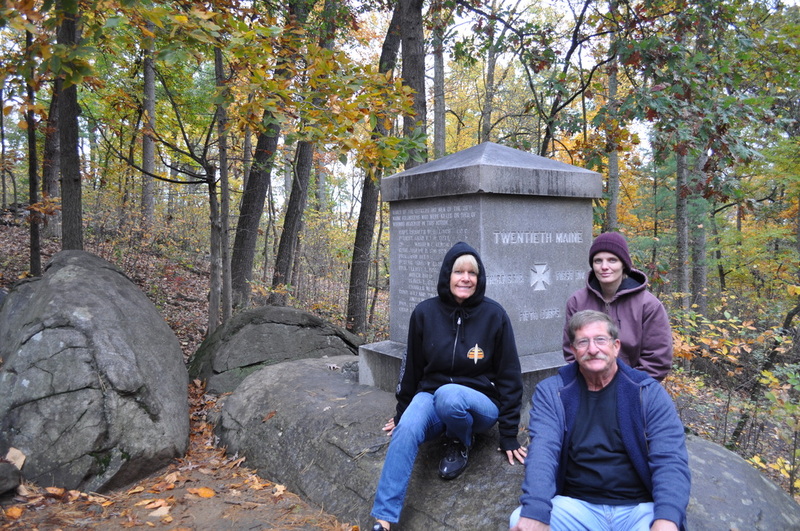 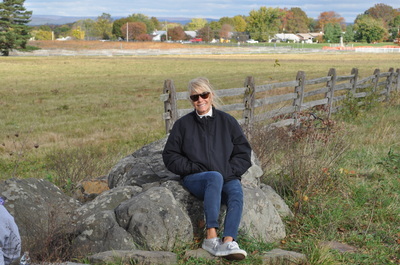 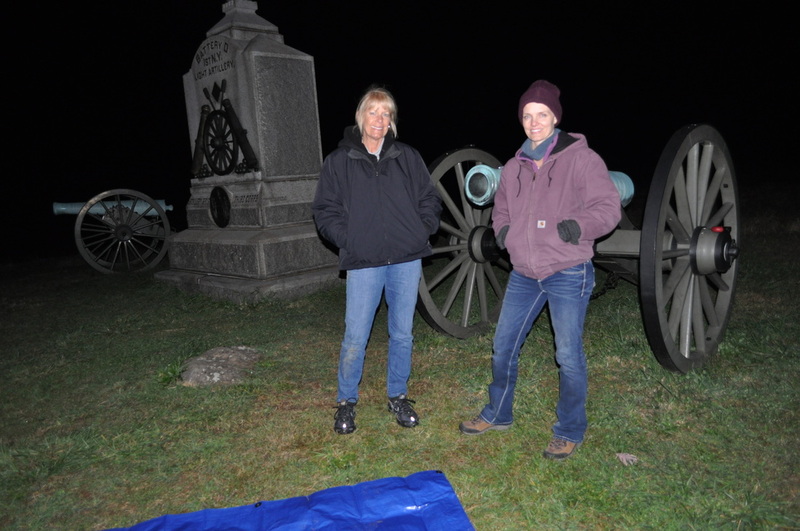 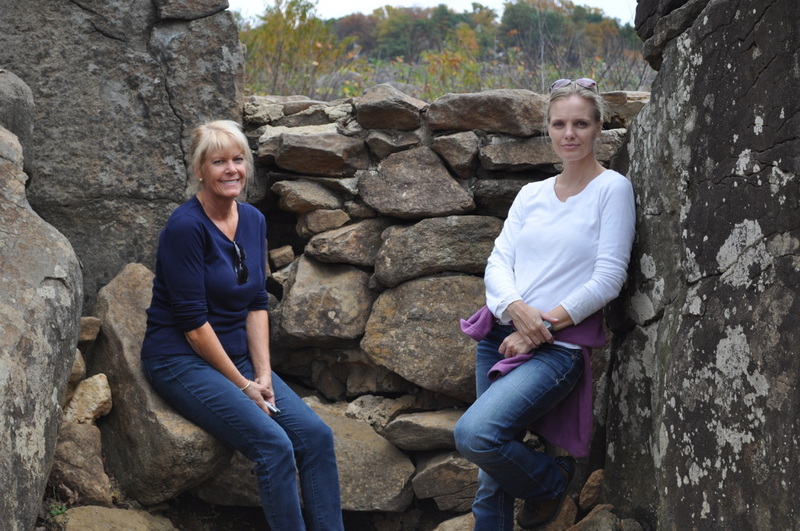 October 2014 - CAPRS on a three day ghost hunt at Gettysburg Battlefield! 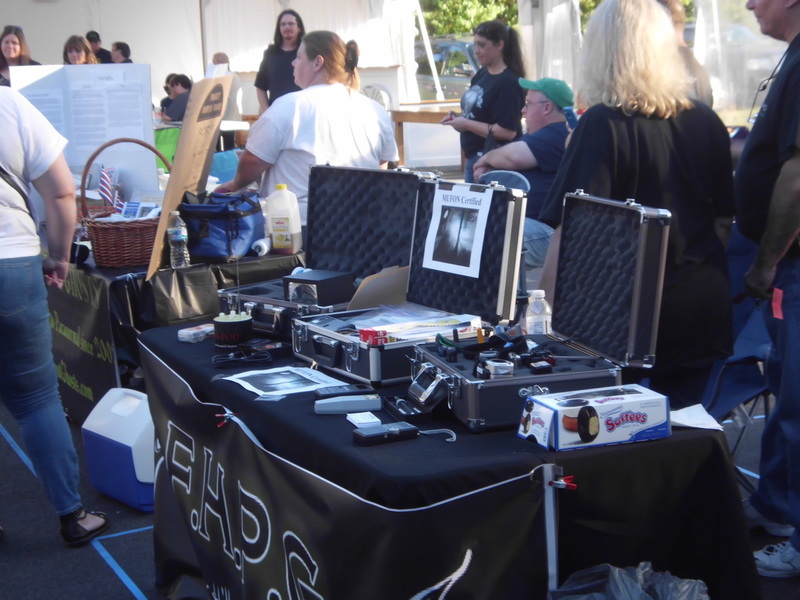 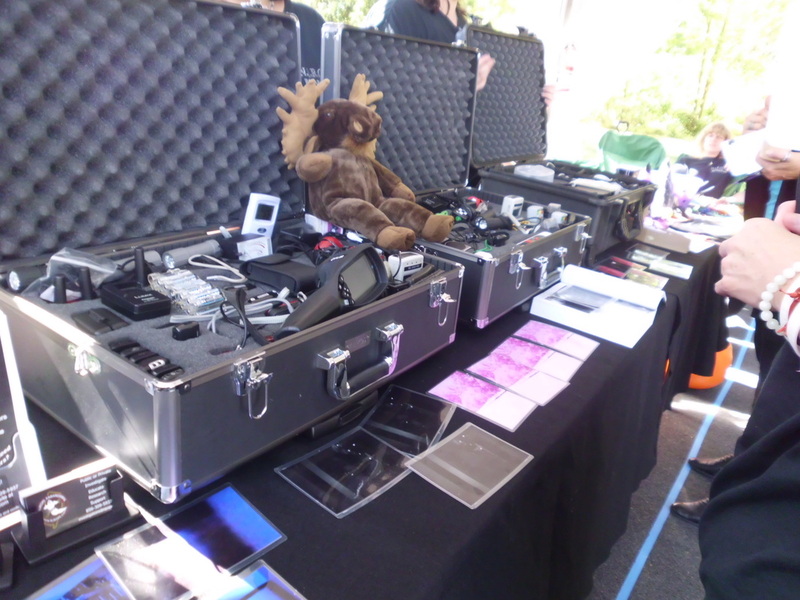 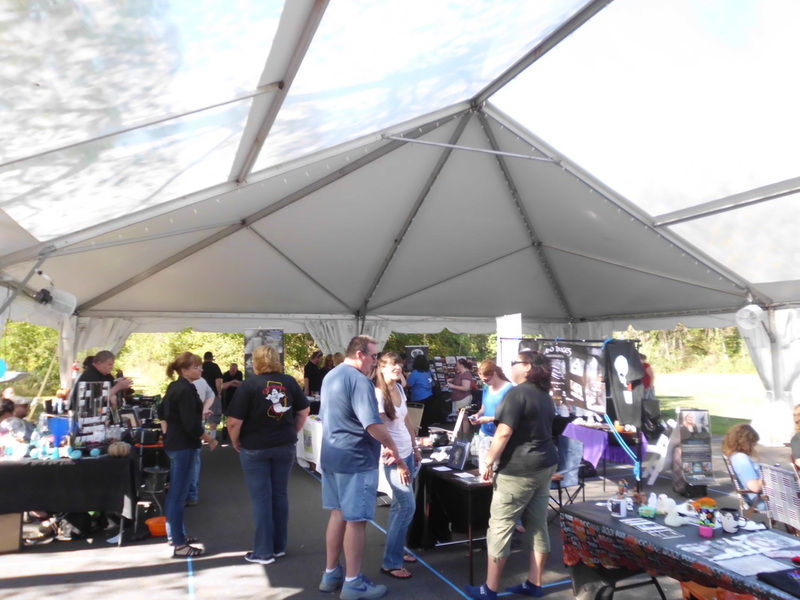 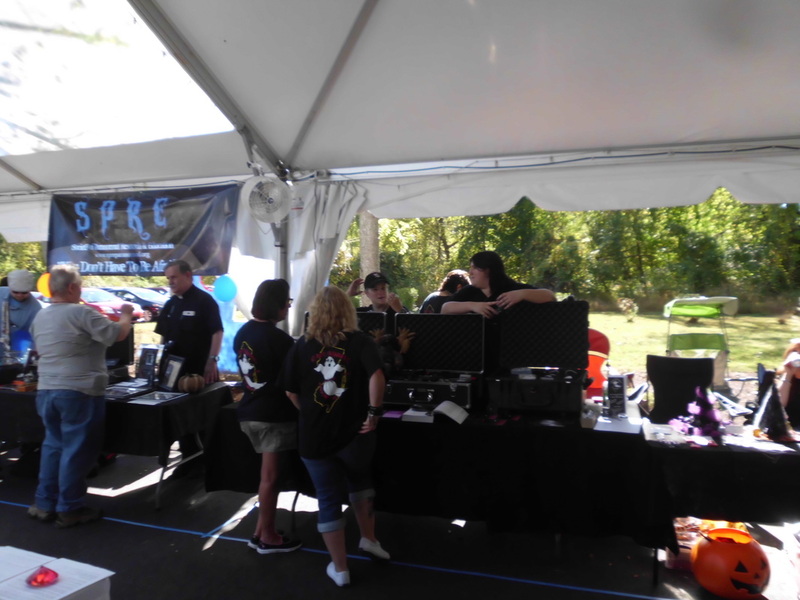 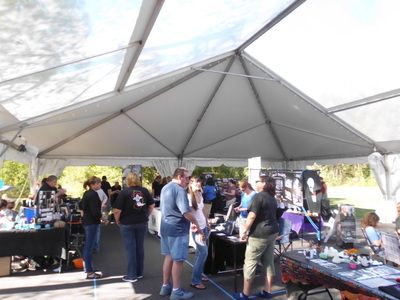 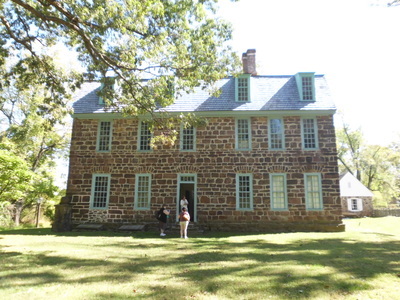 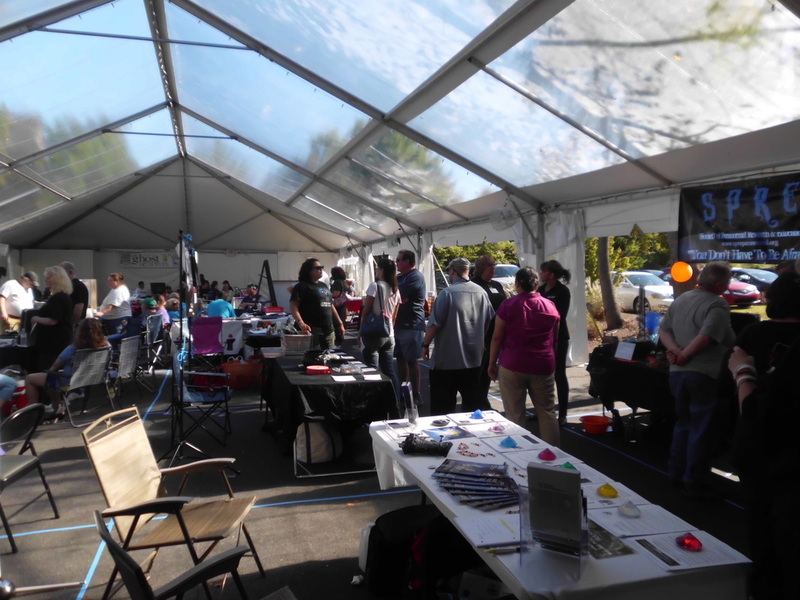 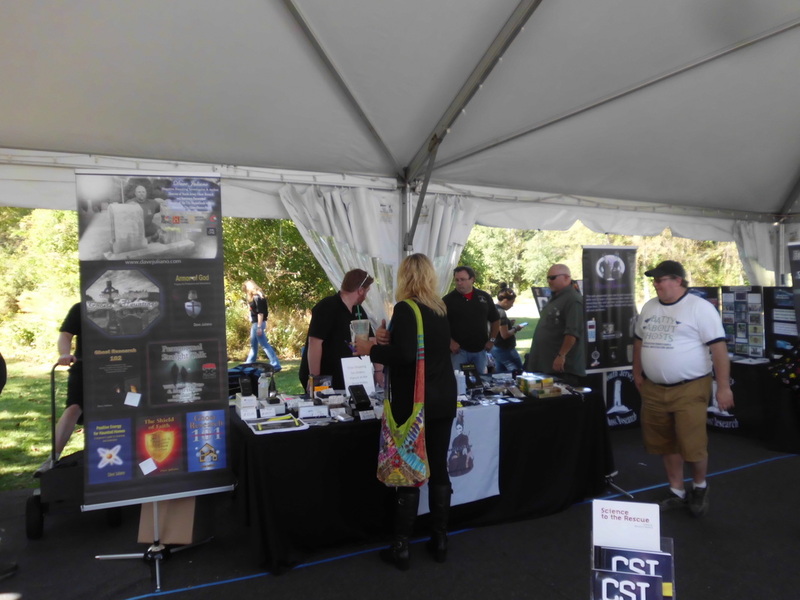 September 2014 - CAPRS personnel attended the Paranormal Convention at Graeme Park, site of the haunted Keith House, the only surviving residence of a Colonial Pennsylvania Governor. 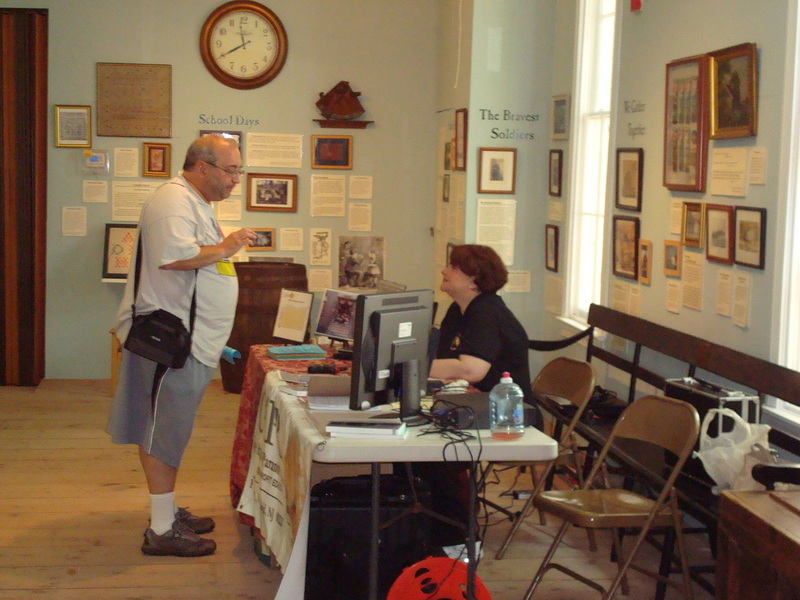 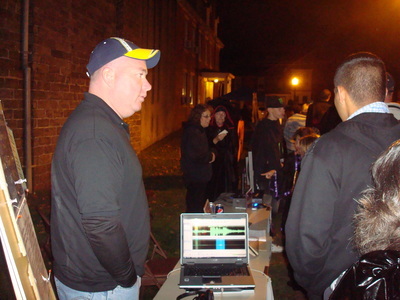 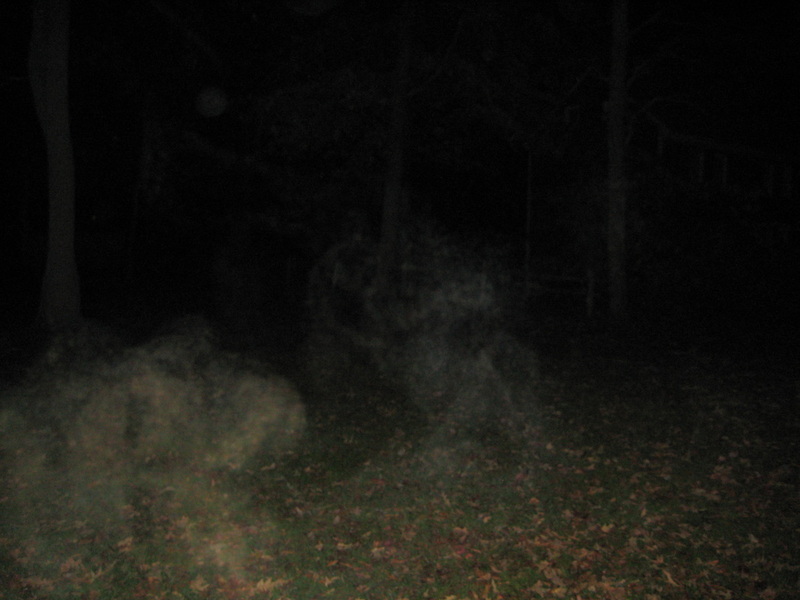 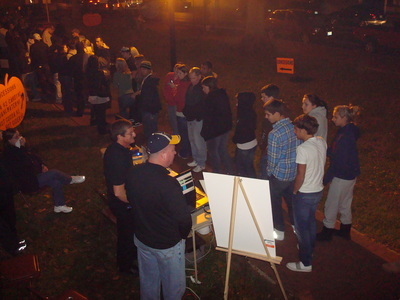 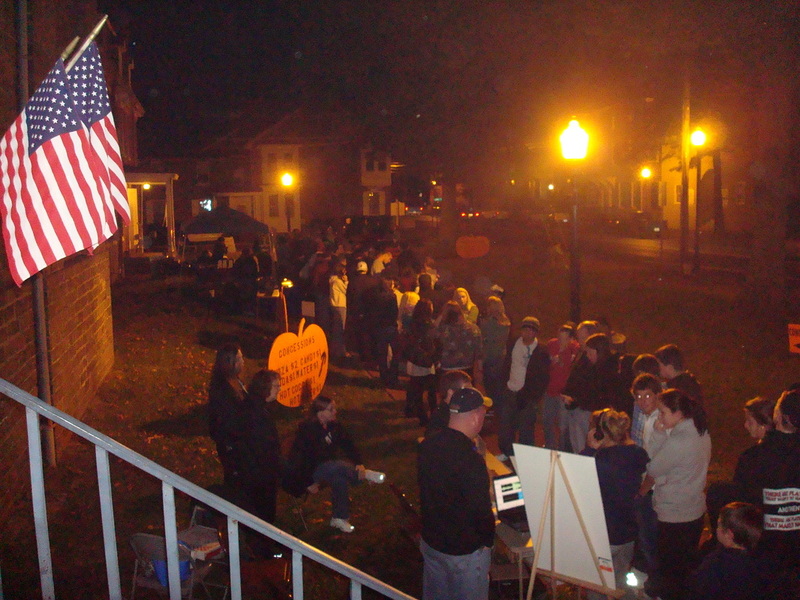 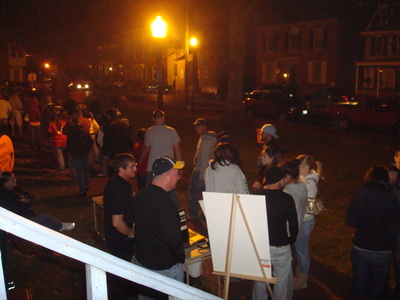 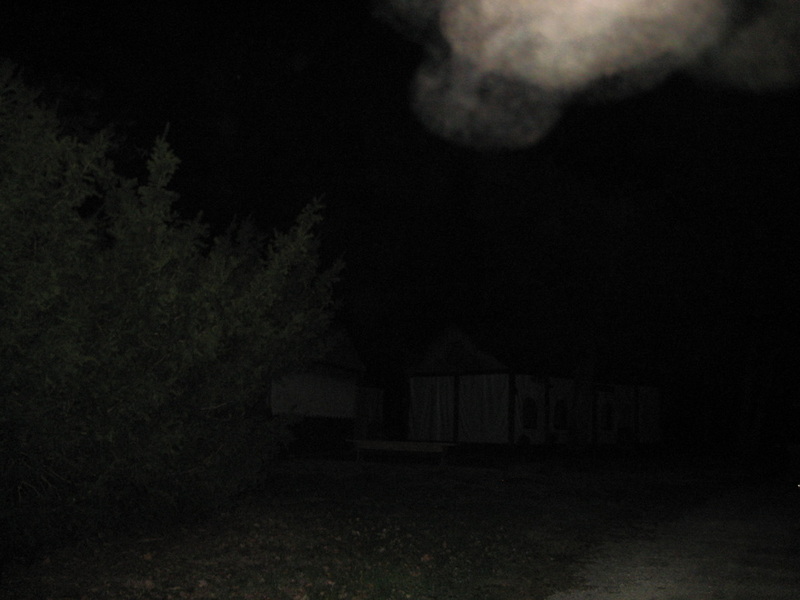 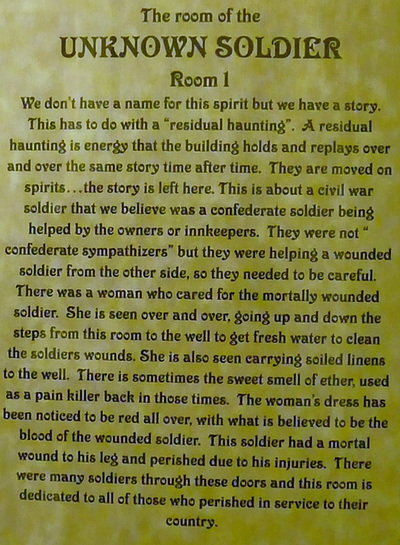 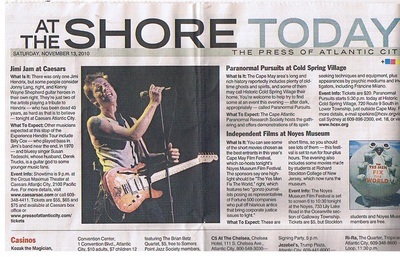 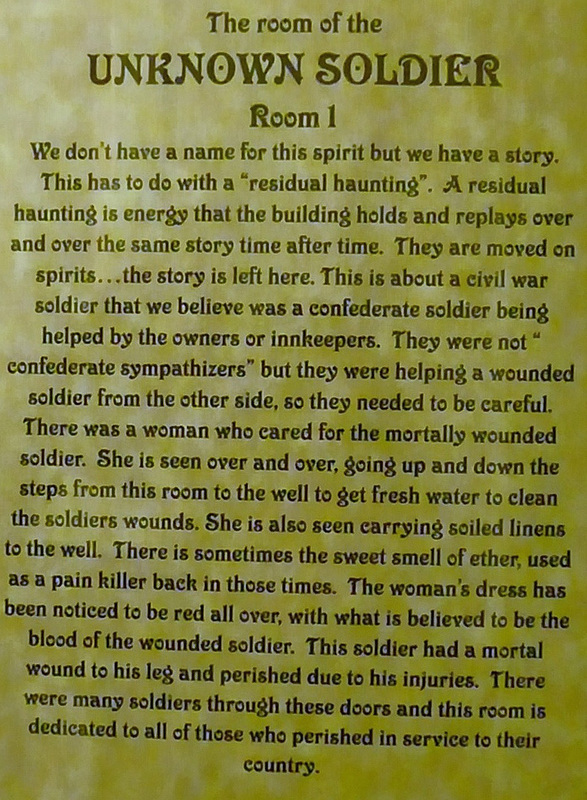 November 2010 - CAPRS hosted the Paranormal Pursuits gathering at Cold Springs Village. 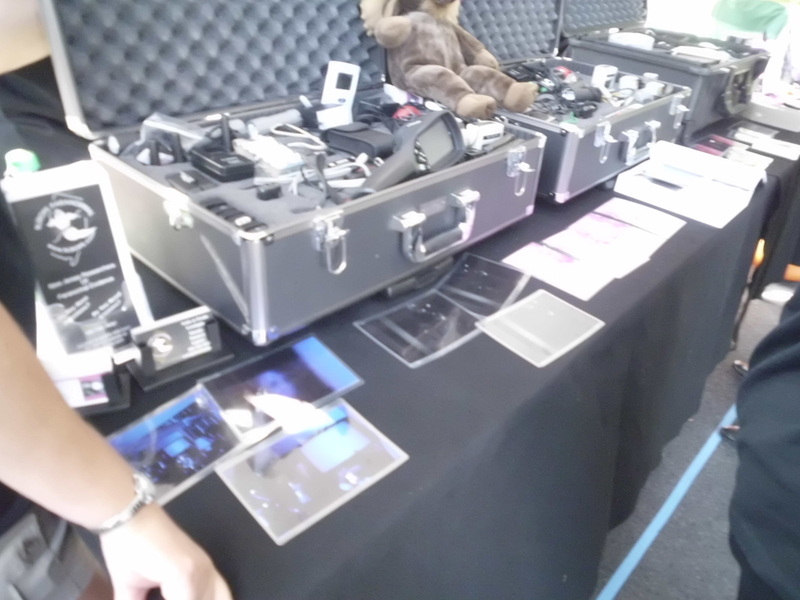 Demonstrations of equipment set up inside the Colonial era buildings were ongoing and evidence was captured (see EVP section "My name is Alice"). 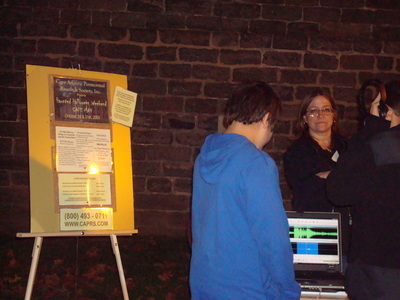 Lecture and Q&A sessions were held throughout the evening. 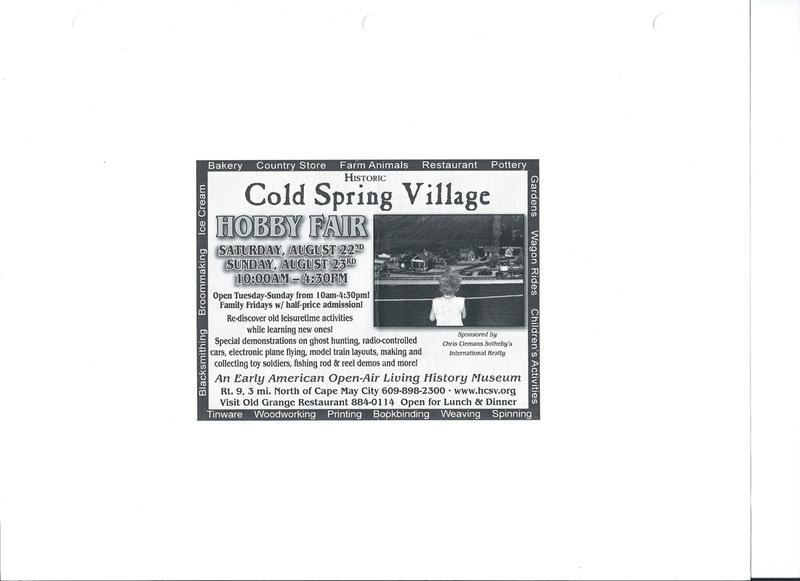 August 2010 - CAPRS lecture and demonstration along with an evidence presentation at Cold Springs Village. 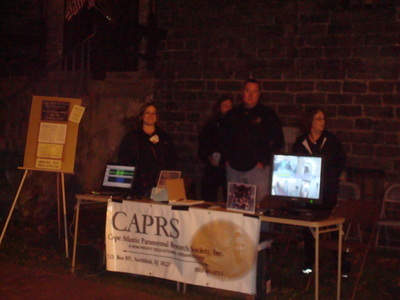 October 2009 - CAPRS was invited to present evidence from the investigation at Burlington County Prison. 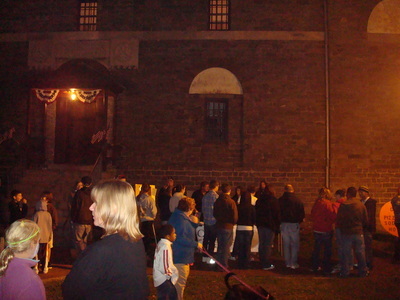 The presentation was held during the Halloween haunted house n front of the prison. 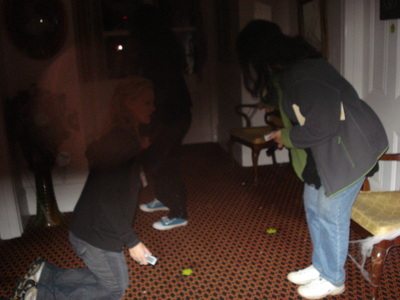 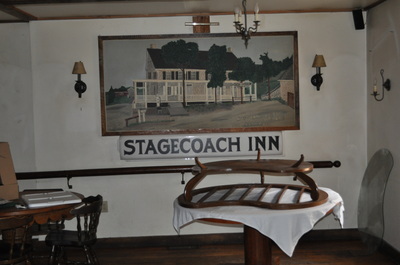 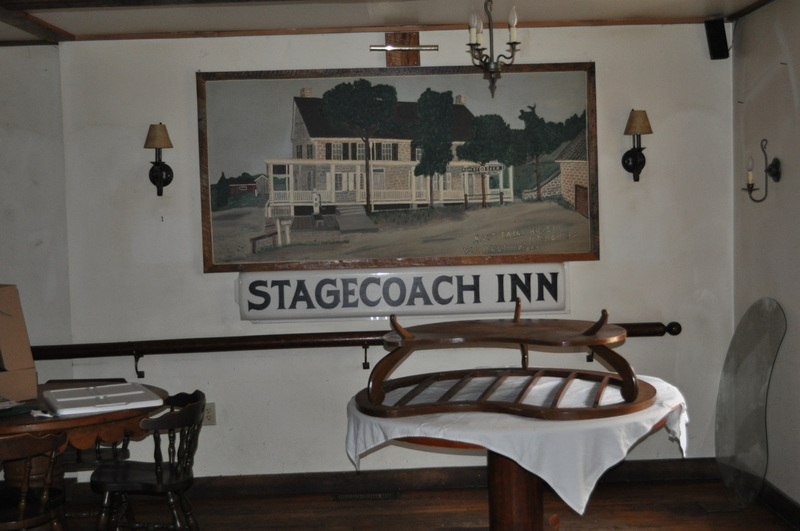 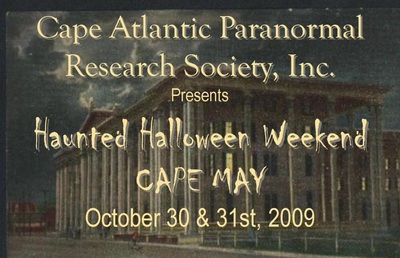 October 30, 31 2009 - CAPRS rented the entire Inn at Cape May to hold a paranormal investigation throughout the premises. 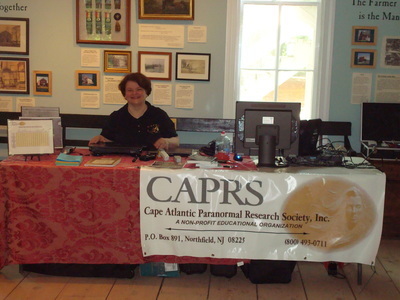 The event was open to any and all interested in learning about haunted buildings.